35mm tubed wall fixed rail with three flange fixings. *RAL colour options are available for polyester finishes on request. When ordering custom colour options please expect 7-10 day delivery. 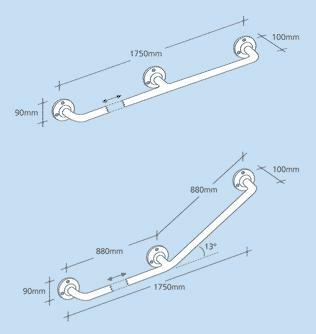 Concealed fixings are added when the grab rail is manufactured and cannot be added at a later date. 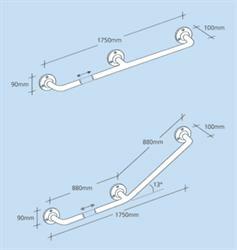 Be the first to submit a review for the Bath Rails Straight & Cranked - Mild Steel.